Somehow my prime baking hours, like my prime music-writing hours, tend to occur after midnight. But when it's late, the last thing you feel like doing is waiting hours for bread to rise. Quick breads to the rescue! When I'm not in the mood for my favorite sweet bread, I sometimes make the recipe below, which can go from start to finish in 35 minutes. Feel free to adjust the amount and type of spices and cheese. Preheat the oven to 350°F. Grease a 12-cup muffin pan. 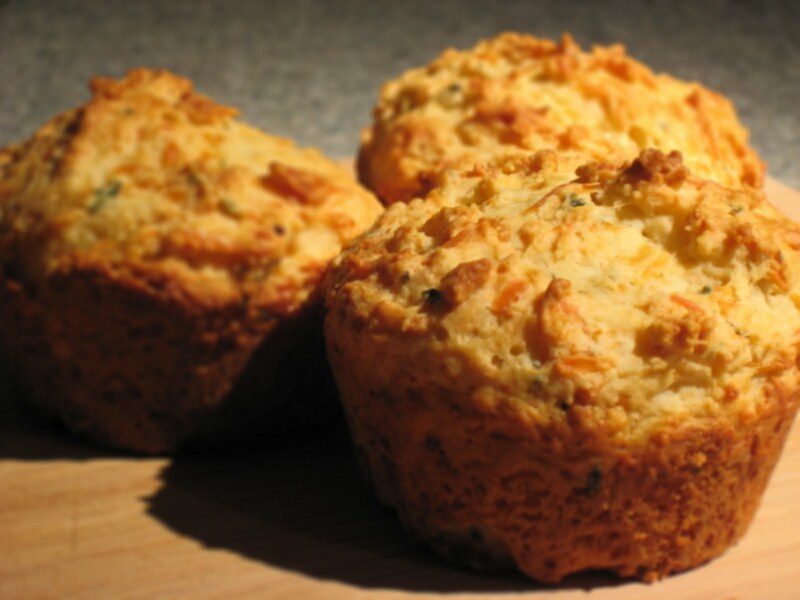 Combine flour, cheese, sugar, garlic powder, basil, oregano, thyme, baking powder, and salt in a large bowl. In a separate bowl, whisk together the milk, egg, and vegetable oil. Add to the dry ingredients, mixing until moist and just combined (if you over-mix the ingredients, the rolls will be hard). Divide the dough evenly between the muffin cups. Bake for around 25 minutes or until a toothpick inserted in the center comes out clean.